Using WordPress and the Yoast SEO plugin for your blog or website does not automatically deliver organic search traffic or the perfect WordPress SEO setup. I will show you how to dial in your general (WordPress) settings, your theme settings, and certain plugins for a great SEO implementation. These are my top WordPress SEO tips. 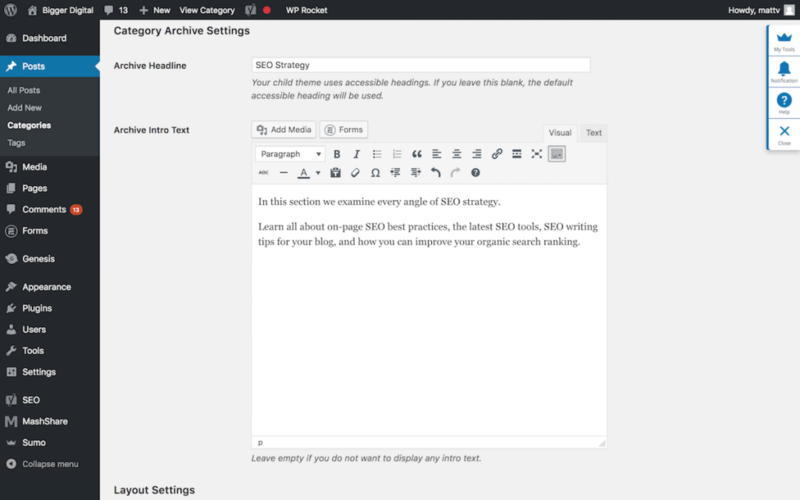 The first step to WordPress SEO optimization is to make some changes to your general settings. The perfect WordPress setup for SEO is key to getting long-term organic search traffic. Log in to your WordPress site and check the following. 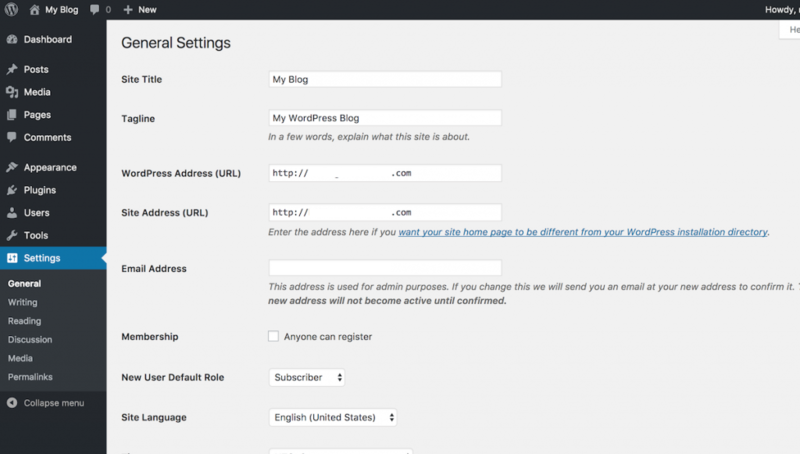 1) If you just installed WordPress, navigate to General Settings and change My Blog to the name of your Site, delete the Tagline, remove the www. from your WordPress Address and Site Address URL’s (shorter URLs are better). Then scroll down and make sure you have the correct timezone. Click save changes. 2) Navigate to Reading Settings. Change to show at least 10 blog posts and 10 items in your syndication feeds. Select Summary under “For each article in a feed, show. Click save changes. 3) Go to Permalink Settings. Make sure you have selected Post name. This will use the descriptive keywords of your article headlines. Click Save Changes. These are the pressing WordPress general settings that you should change. We will get deeper into WordPress SEO optimization when we take a look at specific themes to use. I have used a tonne of WordPress themes by Studiopress, Elegant Themes, ThemeForest, and MyThemeShop. After many experiments and launching hundreds of website I believe that Studiopress offers the best SEO WordPress themes. These are the themes I recommend using if you want to improve your SEO. 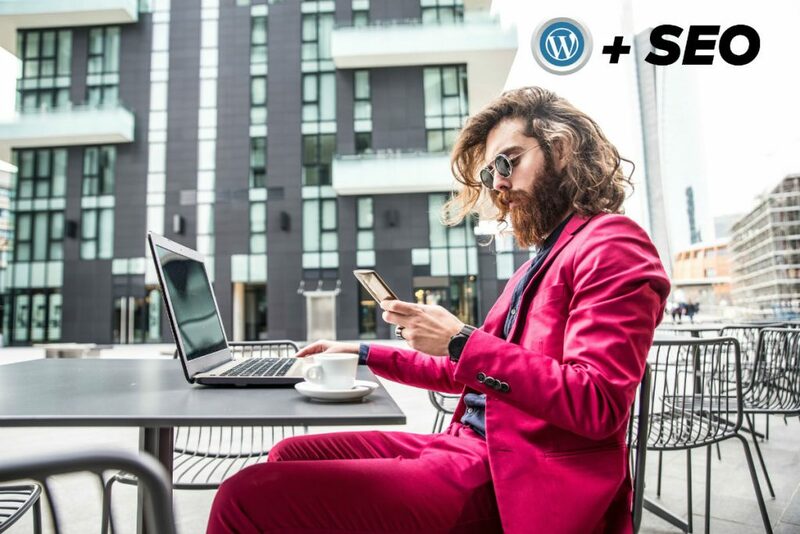 Why Are Studiopress Themes The Best WordPress Themes For SEO? You can get a single theme or you can get their all theme package (I did) that provides massive long-term value. Let me show you the awesome SEO features. When I edit a category, I am able to enter additional content within my category page. I have not seen this feature in any other theme that I have used. In the Archive Intro Text section you see below, I have entered some copy that describes the articles you will find in the SEO category. Any content that I enter into this section will appear at the top of my category page. Can you see how powerful this feature is for SEO and getting your category pages well indexed? You could create a 1000+ word article here that would show before all the articles linked to this category. Now, this is a brand new category that I just created right now. In time, I will add even more copy (and possibly interesting photos and videos too) that will draw relevant keyword searches. Amazing. In the screenshot below, you can see the Yoast SEO snippet preview shows up. Use it to quickly make your category pages rank better in organic search. Because of these category page SEO features, I highly recommend that you use Studiopress WordPress themes. Another reason that I love Studiopress themes for SEO is that they enable you to easily build a strong internal link structure. This is important if you want to implement great SEO. I use featured posts widgets in different locations to keep my URL structure very flat and to make it really easy for Google to find my content. Let’s take a look at what I am talking about. Navigate to Appearance -> Widgets. Studiopress offers a widget to display Featured Posts. I put these in both my footer and after entry widget locations. Here is the one I put in the footer. You can adjust the settings however you like and whatever makes the most sense. If I had more content on my site I would show more posts. Make sure to select “Exclude Previously Displayed Posts?” so that you do not see the same post show up multiple times. Select Show Featured Image and choose the size and the alignment. Select Show Post Title. Click Save. Because I have hundreds of articles on my men’s blog I will create these featured posts widgets and place in multiple locations. I will put them in several footer locations, the primary sidebar, and after my posts in the after entry location. Now users can discover way more content on each page view. And, so can Google. If you decide to go for Studiopress themes make sure that you install the Simple Hooks Plugin. This plugin allows you to insert code (HTML, Shortcodes, and PHP) into any of the 50+ action hooks throughout the StudioPress Framework. This can be handy for a number of reasons. I have used Simple Hooks to show display ads. I have also used it to strategically insert copy and headings (using relevant/descriptive keywords) for SEO purposes. Studiopress makes it easy to implement great SEO. This is why I think that they offer the best SEO WordPress themes money can buy. There are a number of WordPress SEO plugins. Hands down Yoast SEO is the best SEO plugin for WordPress. The SEO plugin is free and offers a tonne of value. Why Use Yoast SEO Plugin? Want to see the plugin in action? 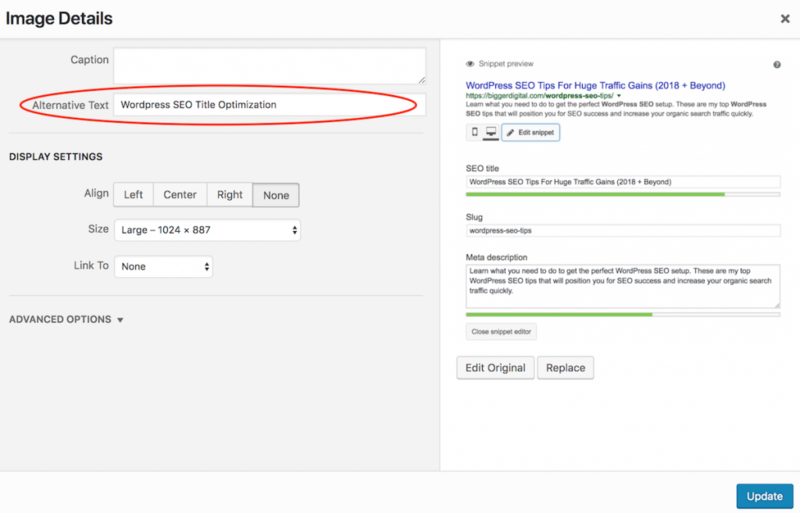 Learn how to install and tighten up the Yoast SEO plugin settings. One of the easiest ways to improve your on-page SEO quickly is to optimize your WordPress SEO title aka title tag using the Yoast SEO Plugin. How To Create A Great WordPress SEO Title? 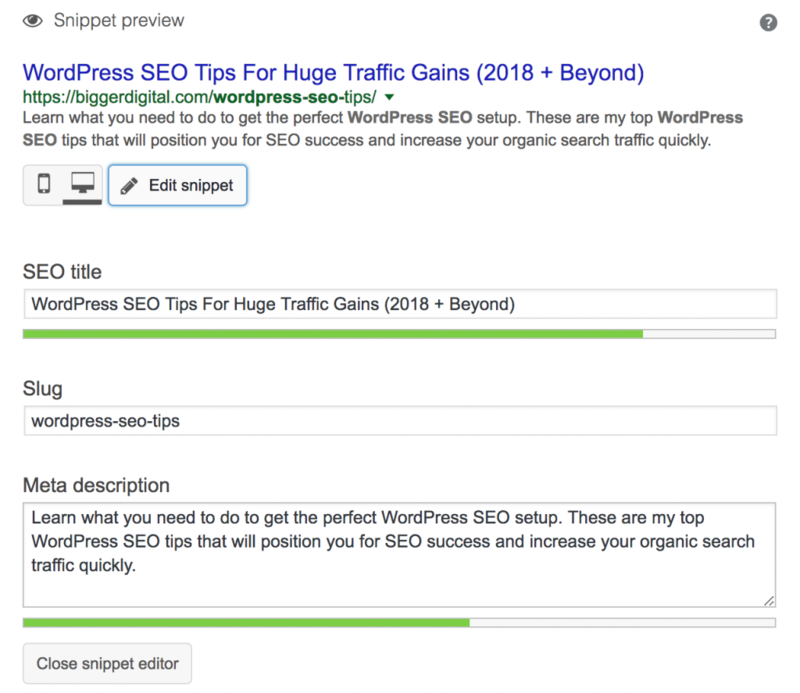 Let’s take a look at the snippet preview for this article that shows the SEO title I am using. Make sure you see green scores before you publish. Page speed is an important SEO ranking factor. This is especially important now that Google has announced their focus on mobile first. Most web traffic is on phones so you need to have super fast lightning speed page load times. How Do You Improve Page Speed? In addition to optimizing your images for size and compression you should also optimize your images for SEO. There are 2 SEO tasks to do for every image you upload to WordPress. In your post click on an image and select the pencil icon to edit the image in WordPress. Next, enter your alternative text. Do this for all your images and use a wide variety of keywords. Avoid duplicating the keywords that you use in the file name and alt text. Investing in quality hosting is important. You get what you pay for. If you can afford it I highly recommend Liquid Web Managed WordPress hosting. I have been using Liquid Web for 6 years and have had excellent results. The service is incredible. They do everything for me. I don’t have to lift a finger or worry about super technical stuff that is not my primary expertise. If you are on a strict budget then go with a Bluehost WordPress hosting package. Essentially, you are getting a discount because it is DIY hosting. However, if you do go this route keep in mind that it will cost you your time. Follow through on all of these WordPress SEO tips asap and you will be in good shape. The main thing to remember is that you can’t expect positive SEO results if you simply install WordPress, your theme, and plugins. You must focus on WordPress configurations and SEO implementation tasks. Get it done!